On August 24 my biometrics were collected at the Visa Application Center. 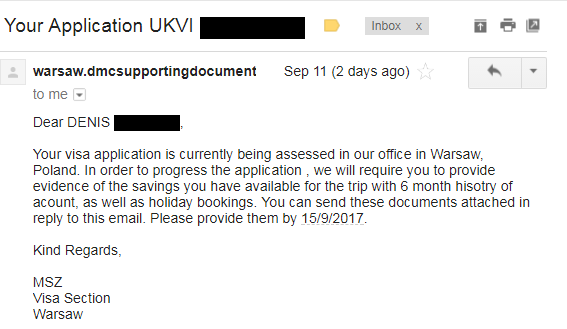 On the 29th I received an email saying "Application Received by UK Visas & Immigration". All this stuff confuses me... Does this mean that they made a decision and just didn't yet send an email? 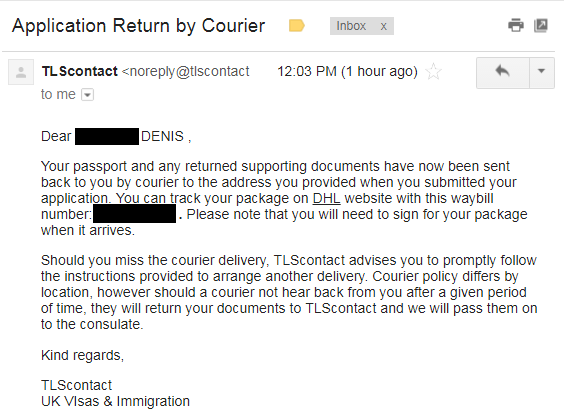 Does this mean that they just sent me back my passport and they yet have to make a decision? Also, when I try to track using DHL's site it says: (Not found): No result found for your DHL query. Please try again. Everything is okay, just 10 minutes ago received my passport back and I got the Visa. On the TLS site the same timeline, no updates. Received the shipment 1 day earlier. Not the answer you're looking for? Browse other questions tagged visas uk transit-visas or ask your own question.